During the Eastern Swing that the National Hot Rod Association recently completed, Lucas Oil Top Fuel dragster pilot Richie Crampton returned to the site of his first win. That came in 2014 at the Toyota NHRA Summernationals at Old Bridge Township Raceway Park in Englishtown, N.J.
Monster Energy Top Fuel driver Brittany Force would eliminate Crampton in the first round of the 2015 Toyota NHRA Summernationals. She would then go on to the final round, before losing to hometown driver Antron Brown. 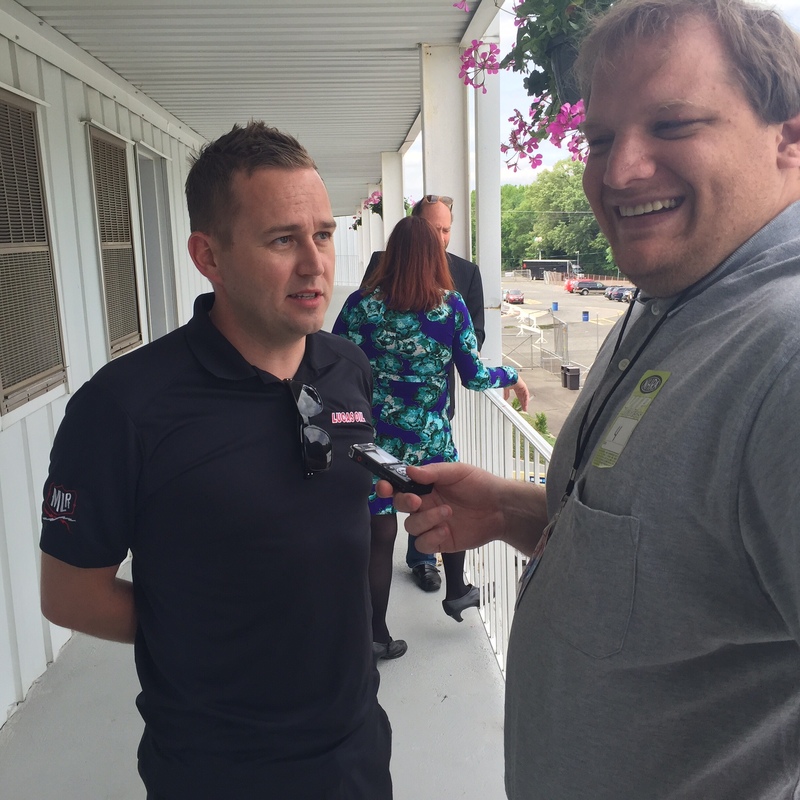 At the Toyota NHRA Summernationals and the NHRA New England Nationals, Crampton had his mentor Morgan Lucas also racing. Yet, Lucas lost both times in the first round to Tony Schumacher so the team did not get enough data has they had hoped for. Unfortunately, for the team, the team was not able to win when they had two cars racing. Yet, Crampton did win at the last race when the team had just his car on the property. 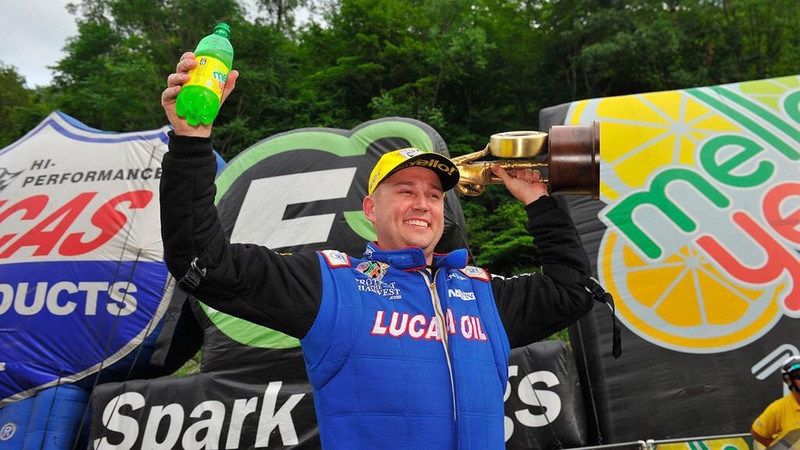 The Lucas Oil team won at the NHRA Thunder Valley Nationals when Crampton had his wife and daughter Emma in attendance. This is the second time that she has seen her father win a race since she was born in May 2014. There is no sophomore slump for the Australian. He already has three wins this season, including Las Vegas 1 and Topeka besides Bristol. With six more wins, he’ll tie Lucas with 11 wins in his career. The way he’s going, he could potentially tie that mark by next year, or possibly even in 2017. At his first win at Englishtown, his father was in attendance. He’s also expected to see his parents soon at the racetrack.